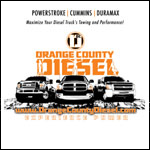 Overheated and poorly filtered oil are the cause of many common engine problems, and this product overcomes these obstacles. This oil cooler system prevents engine clogging due to debris in the coolant. It comes with everything that you need to make sure that you never deal with overheated oil again. 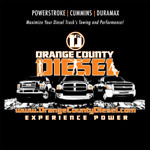 OC DIESEL offers Bullet Proof Diesel BPD 90402000 Oil Cooler System Installation.